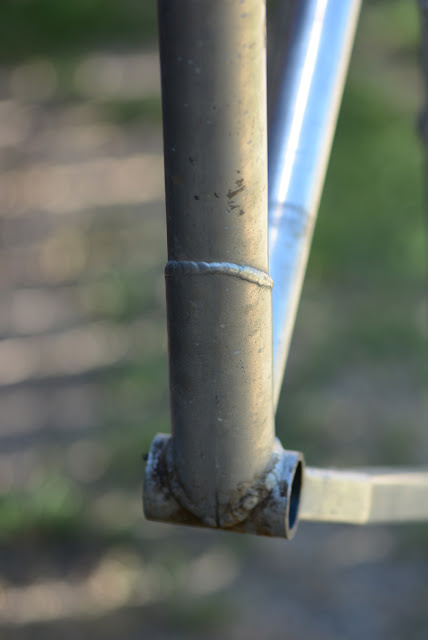 I found out about this particular frame back in 2010 and have been trying to get it ever since. So it's very satisfying to finally see the complete bike take shape and be ready for display or maybe some light trail time. 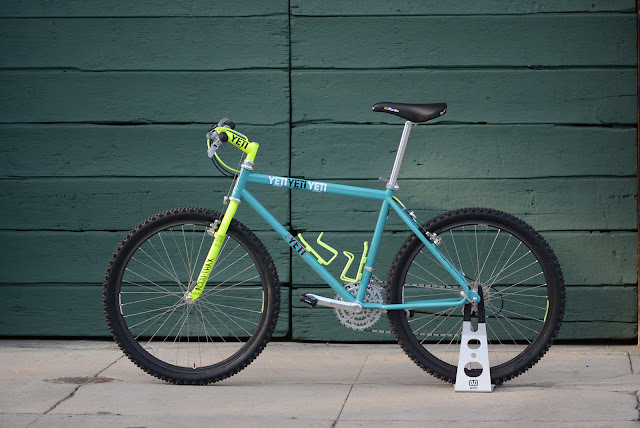 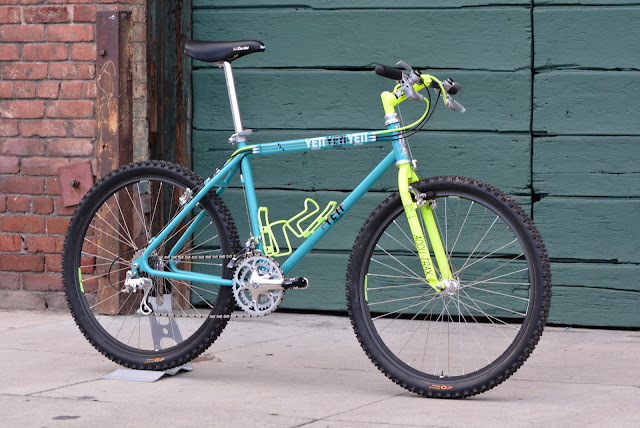 This particular Yeti is no regular FRO, it is the former team bike of Joey Erwin who, first and foremost was a well known Pro racer in the late 80s and early 90s. 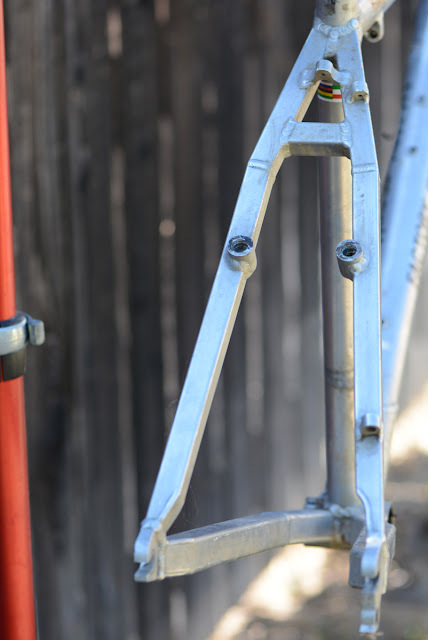 Aside from his prolific racing career, Joey is also known as Johnny T's training partner and friend. 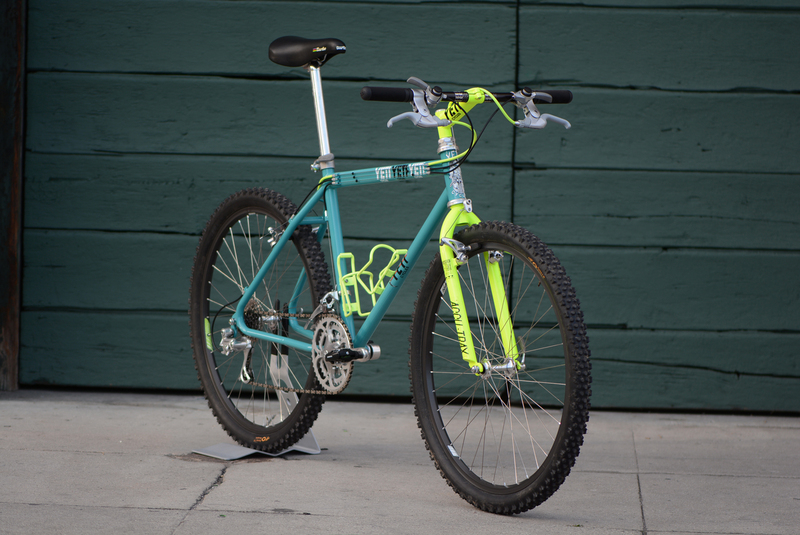 So, it's no surprise that he would not only get to race the famous C-26 but also have a custom whip like this FRO at his disposal. 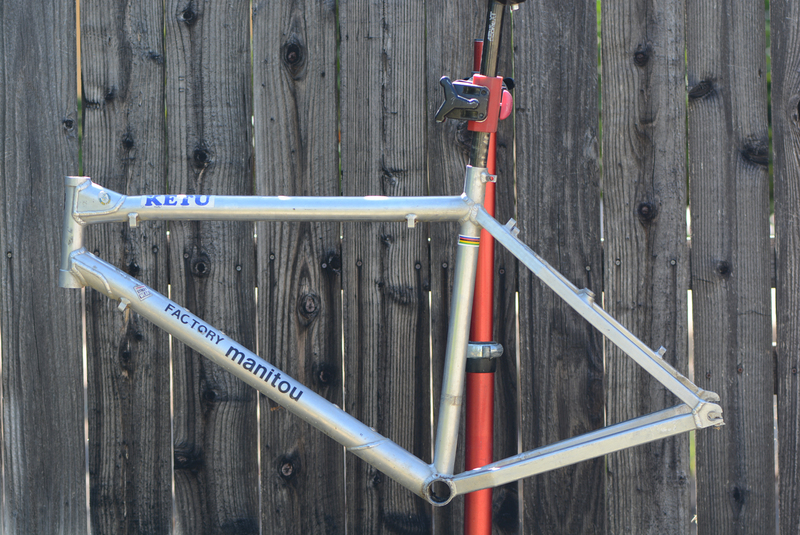 When I first started this project all I had to go on for the build was a photo of Joey's C-26 which was fully decked out in Campagnolo Euclid. 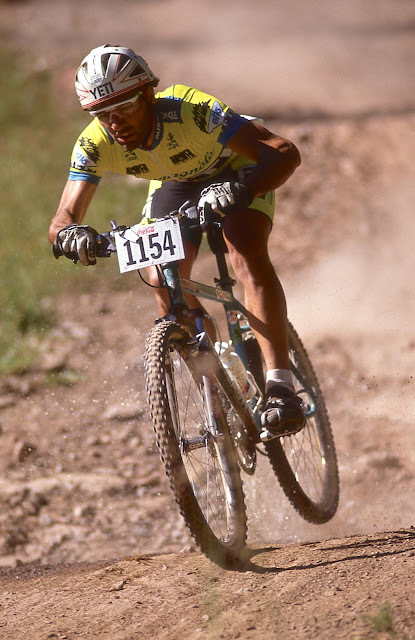 Since then I've found another photo of Joey racing on Rock Shox equipped FRO with Shimano XT. 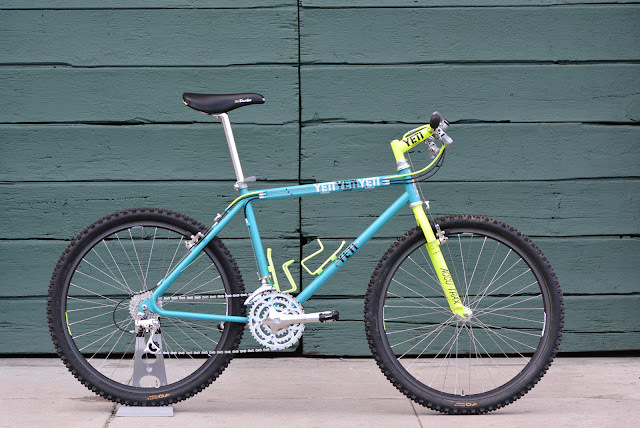 After talking I think that he probably had two FROs with the first one (more of an XC bike) running Campy and the other (more of a DH bike) running Shimano, and ultimately using the DH bike for most of his racing. 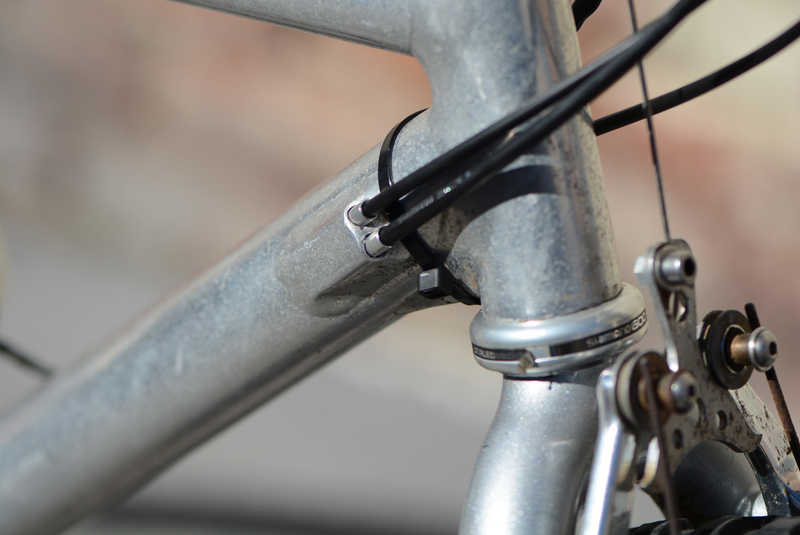 This is hard to confirm since I have very few photos, but it seems to make sense. 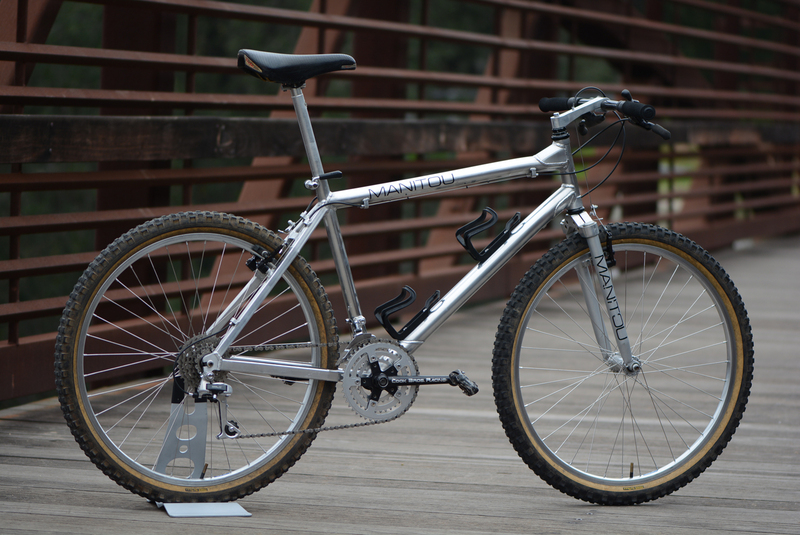 I decided to go the Campy route with this bike, although I have accumulated many of the unique parts required to convert it to the RS-1 rocking bike you can see in the photo above and may redo the build someday. Check out the custom headtube badge ala Tomac! 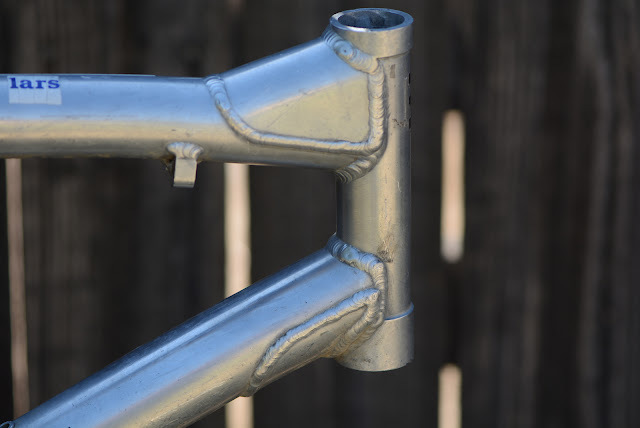 While largely similar to the FROs you or I could buy at the time, there are a few differences that separate this frame from the others. 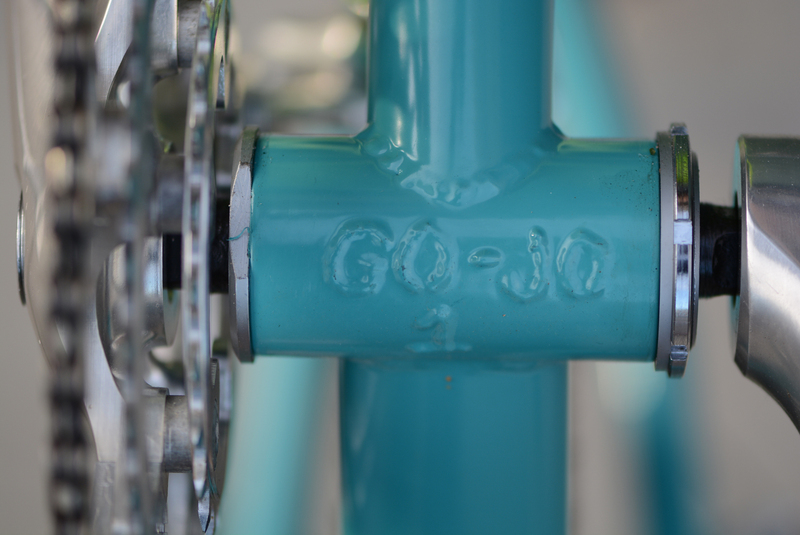 Probably the most obvious is the custom geometry spec'd for Joey. 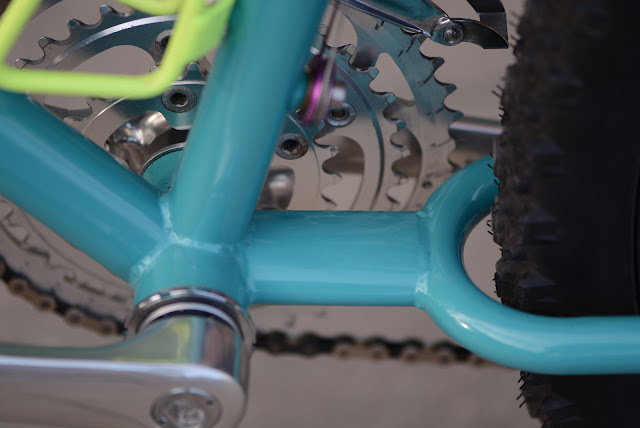 In speaking with Parker it seems that Joey and his father were quite involved with the intricate detail of his bikes and so it's no surprise that his bike is fully customized to fit him. 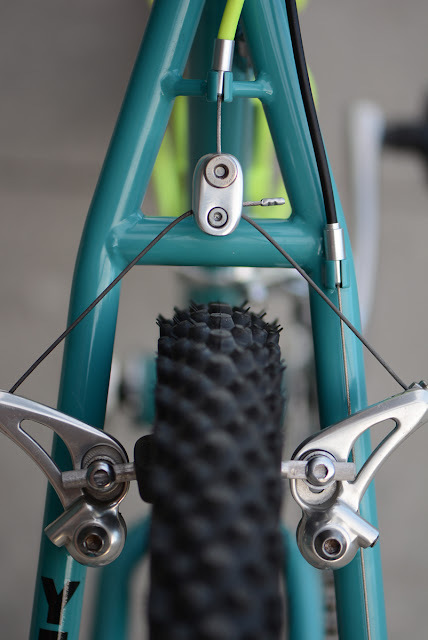 Other more subtle differences are the Team Cut rear dropouts which were an attempt at weight reduction but ultimately proved to be too expensive. 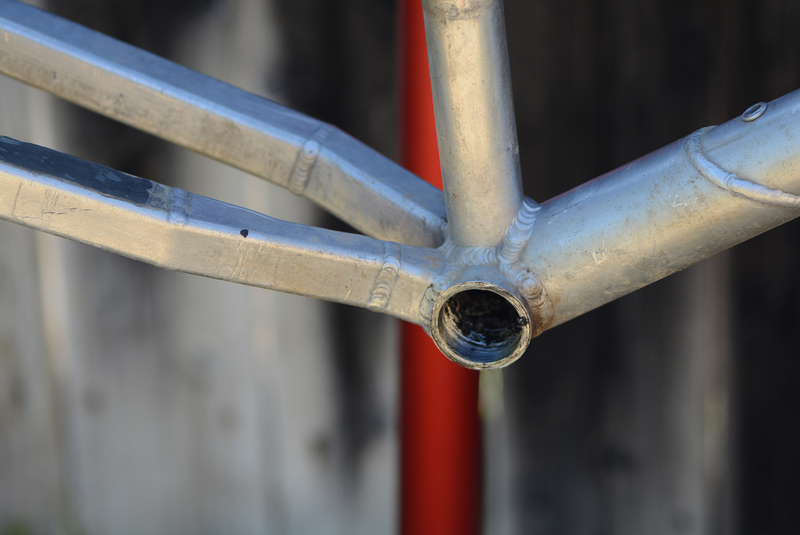 Lastly and definitely not obviously are the huge holes in the headtube and bottom bracket shell where the other main triangle tubes join. They builders at Yeti did all that they could to trim weight and make as fast as possible. 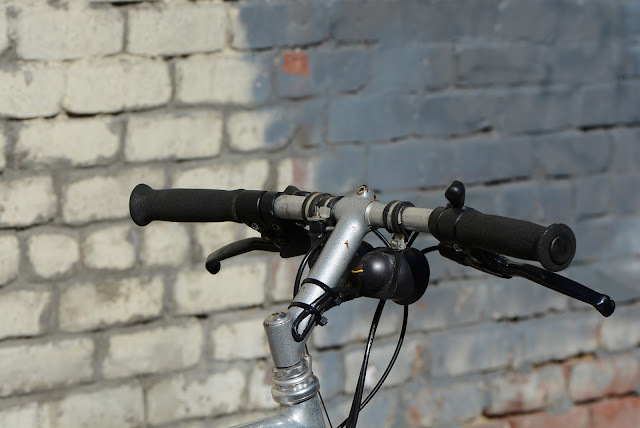 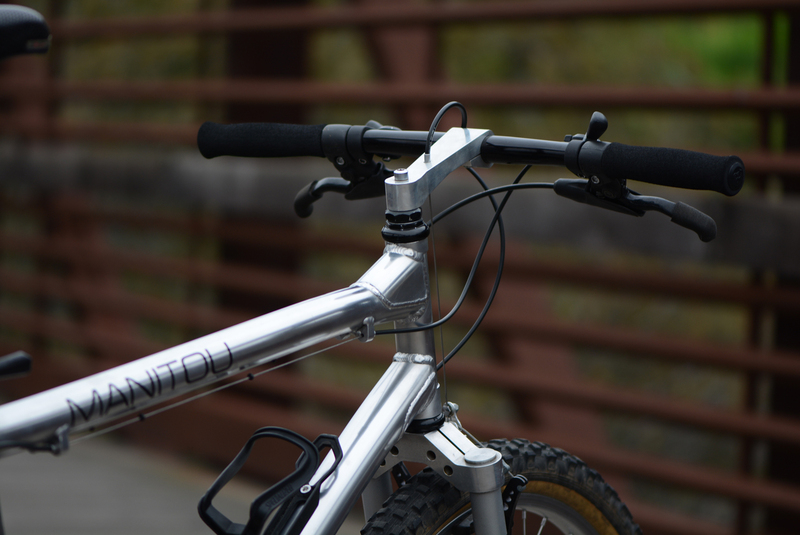 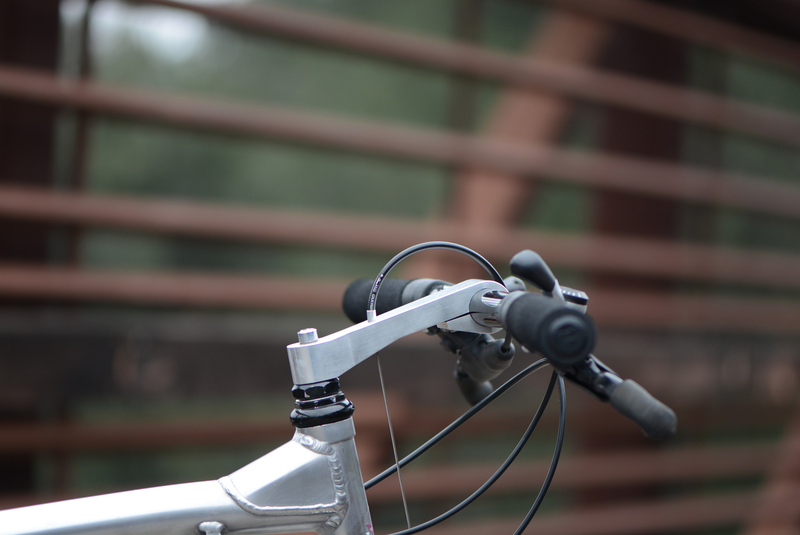 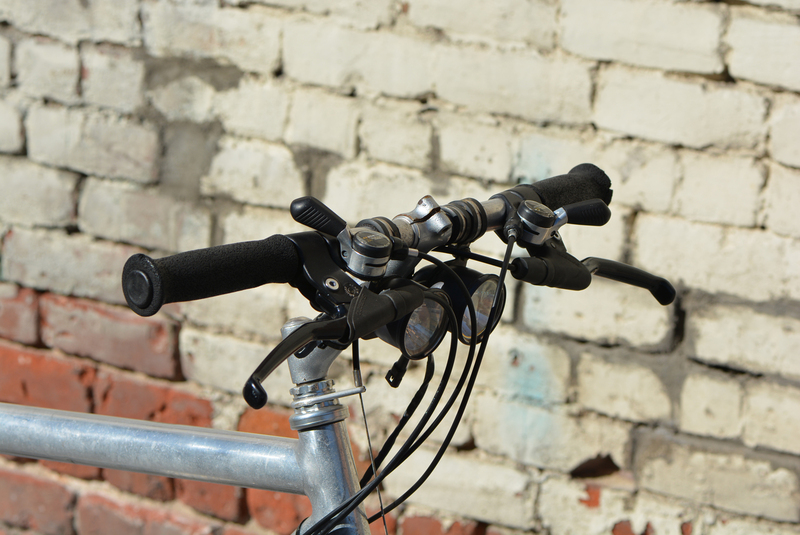 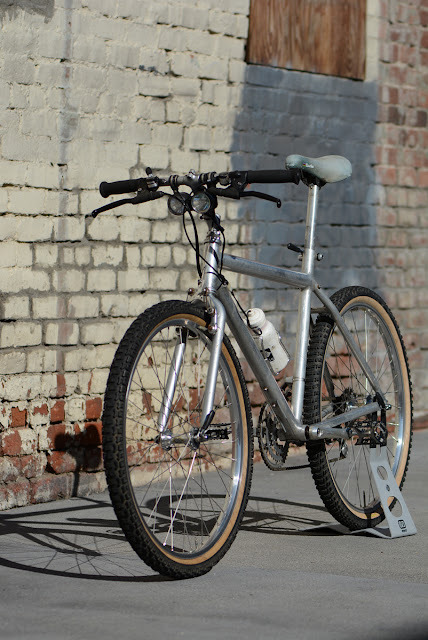 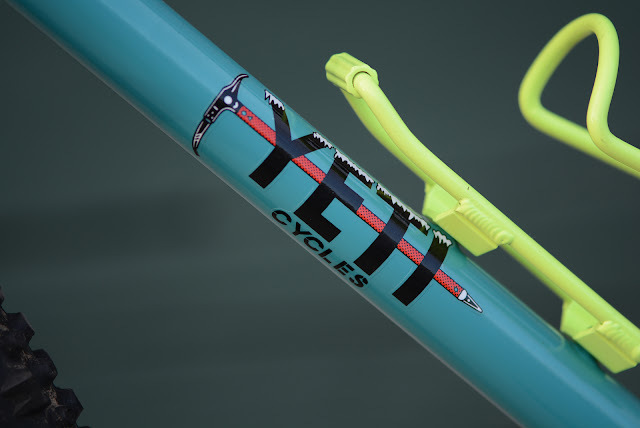 The Yeti package is rounded out with a steel Yeti stem and the now famous Accutrax fork. Although many people refer to these stems as FTW stems it's a bit of a misnomer. While it's likely that Frank did build some of them, they were basic Yeti stems that could have been made by anyone and weren't specific to Frank. 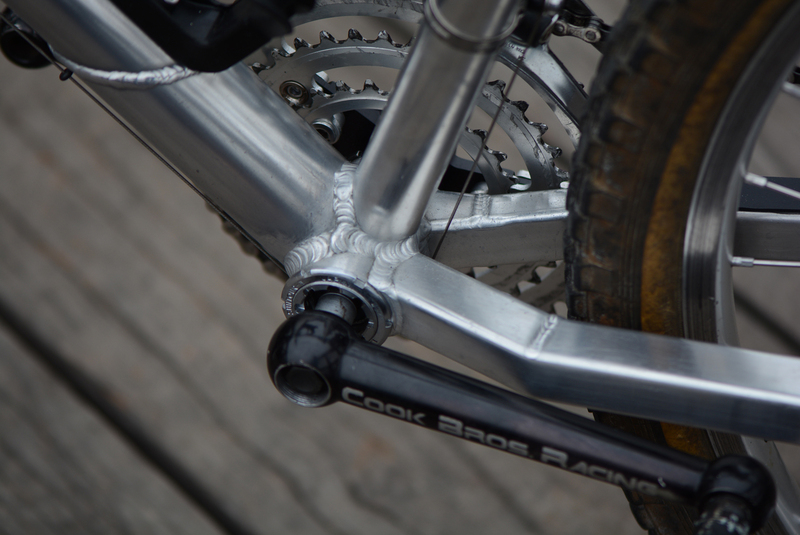 The alloy stems found on some of team bikes (like the Woorley FRO and my C-26) are true FTW stems, fully designed and built by Frank himself. 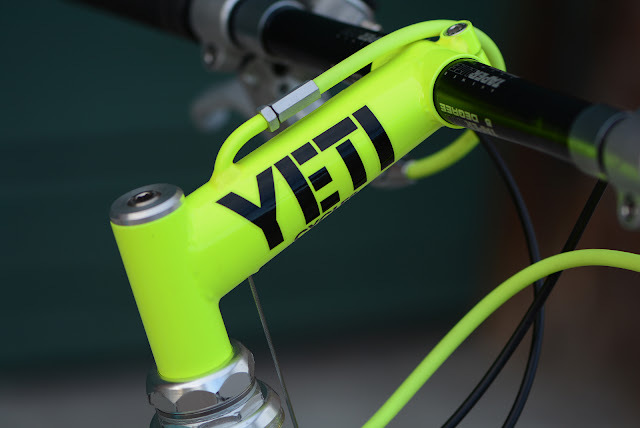 Nothing wrong with a Yeti stem though! 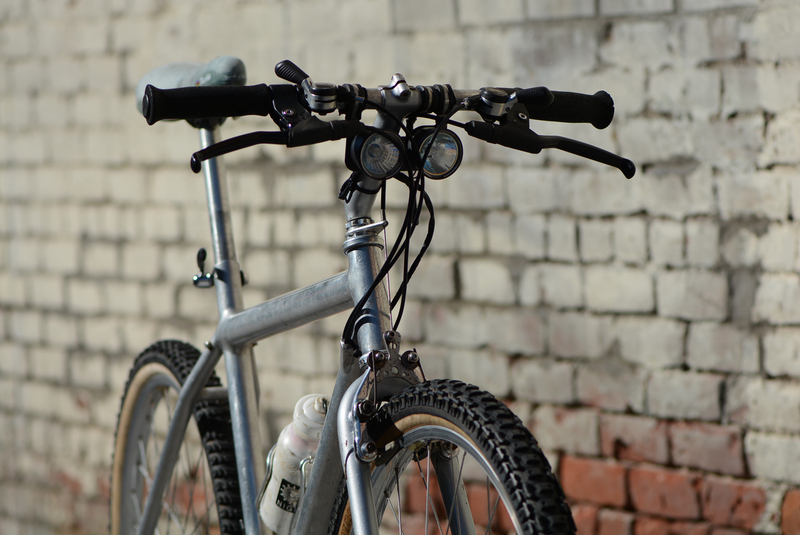 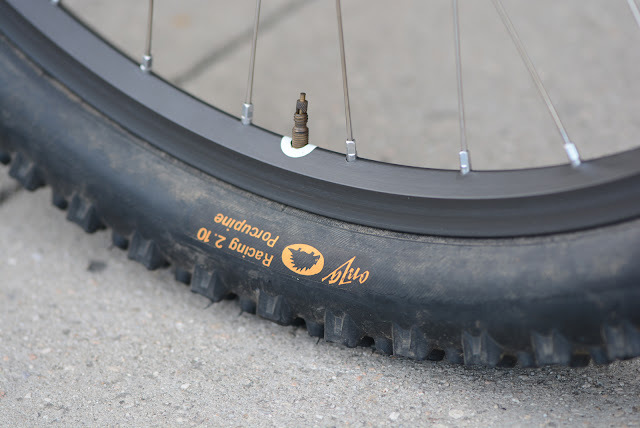 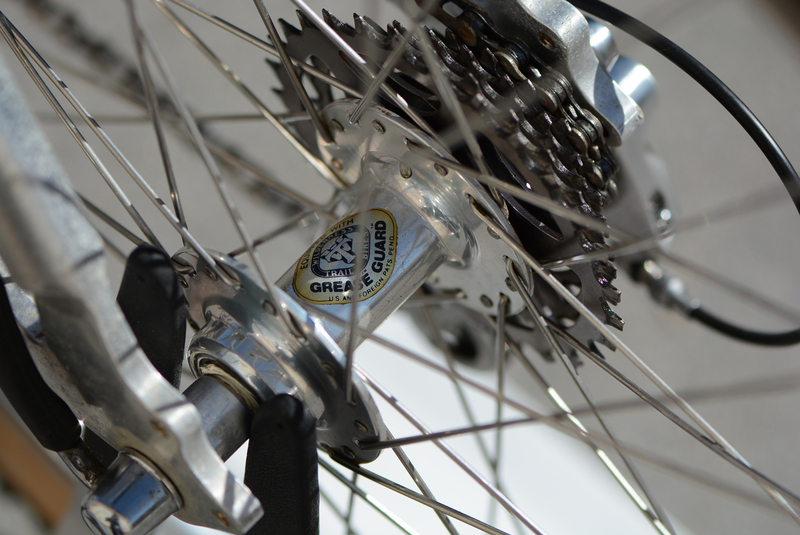 The alternating Black & White YETI Cycles decals were commonly applied to team bikes and the pattern is now a favorite among fans restoring their Yetis. As I mentioned above I had a couple build options with this bike, but ultimately settled on the campy build similar to the way Juli Furtado ran her FRO as well as many other team members at the time. These components are known more for their flash than their performance but since this is more of a show bike it seemed fine. 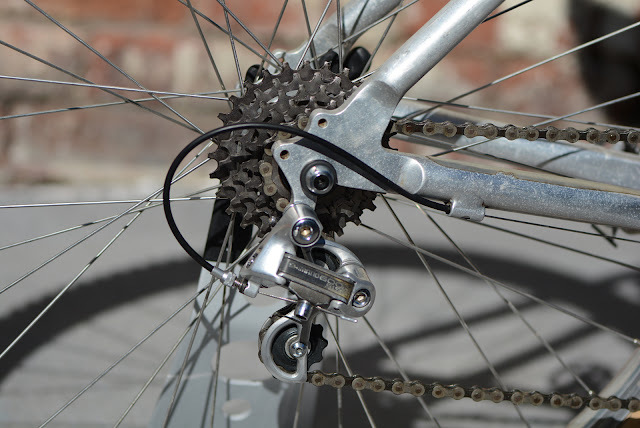 One of the upgrades that team mechanics did back then was to swap in rear derailleur pulleys out of Shimano XT derailleurs which allowed for some float and improved shifting. 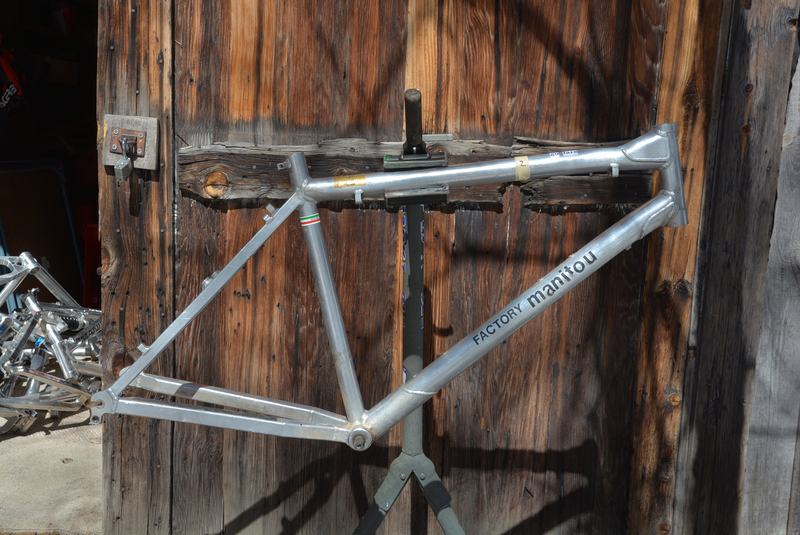 While I haven't done it on this bike yet, I may throw them in before shipping it out. 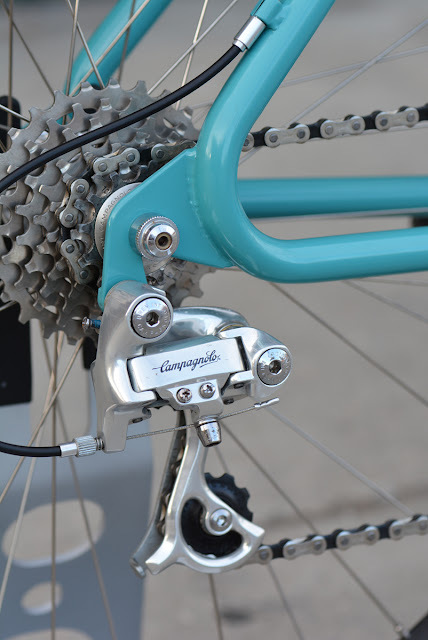 Aside from the clunky shifters the Euclid grouppo is really elegant and fairly easy to setup. 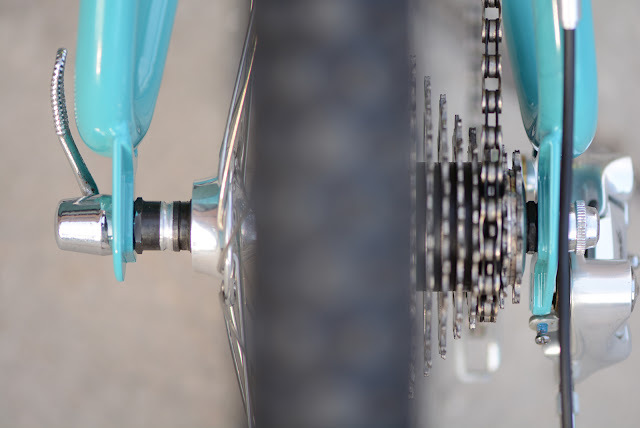 The brakes are virtual carbon copies of the M730 cantis and as such work pretty well. The levers are my favorite part of the kit and really feel great! 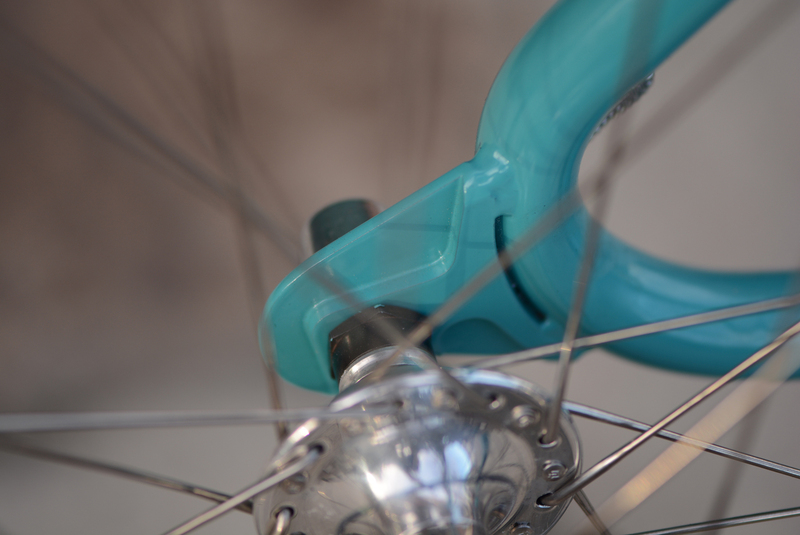 The hubs are fully serviceable via a grease port in the center of the hub body and are some of the prettiest units in the business. 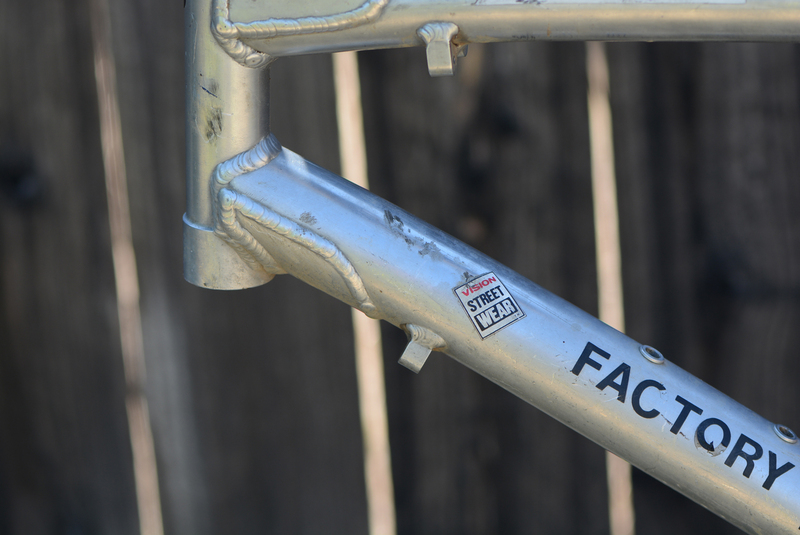 While it looks like Joey had Fisher Fattrax on his FRO in the pic above he did use Porcs on his C-26 and since Yeti and Porcs go together like Republicans and obstructionism. 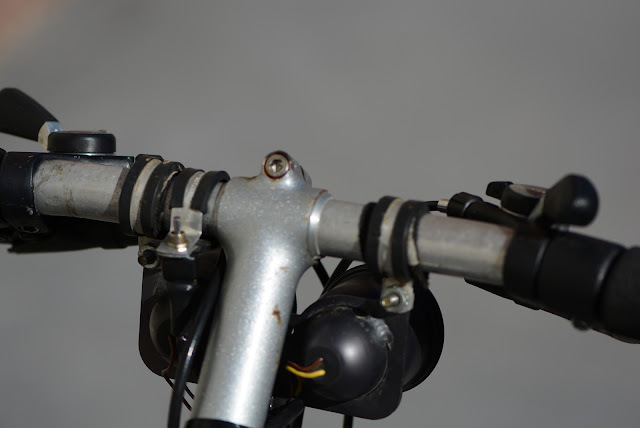 These two finger brake levers were the hardest component to find for the build. Unlike their more complicated four finger units these just don't come up very often. 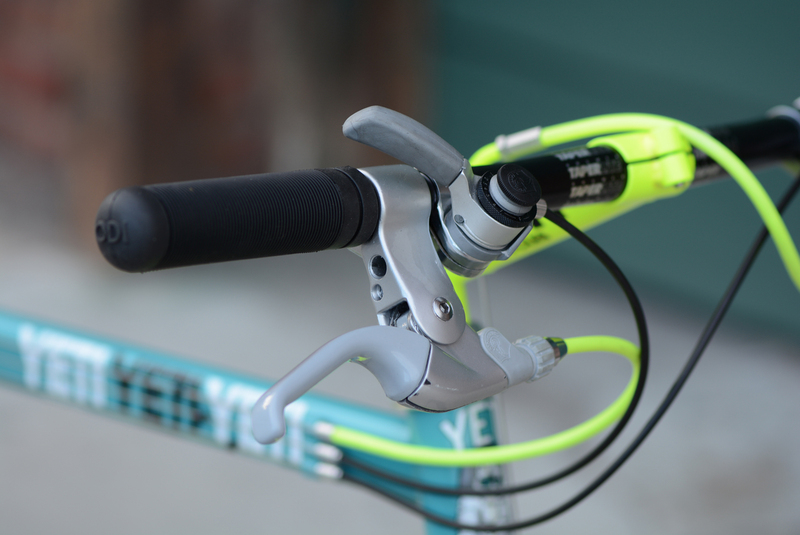 I have to say I really like the feel of the arms and the high amount of tension in the return springs. 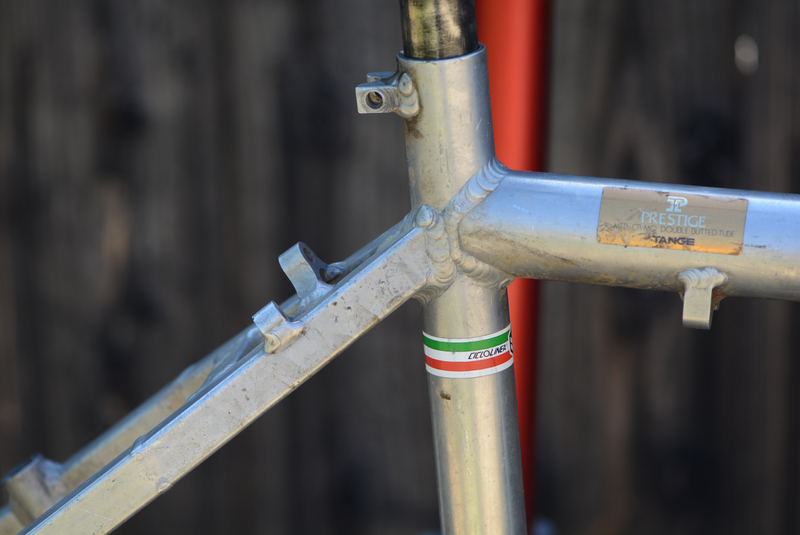 If it weren't for the stupid barrel adjuster that are just seated in the levers and can be lost easily if the cable is removed I'd call these some of the best designed levers of the 1980s. 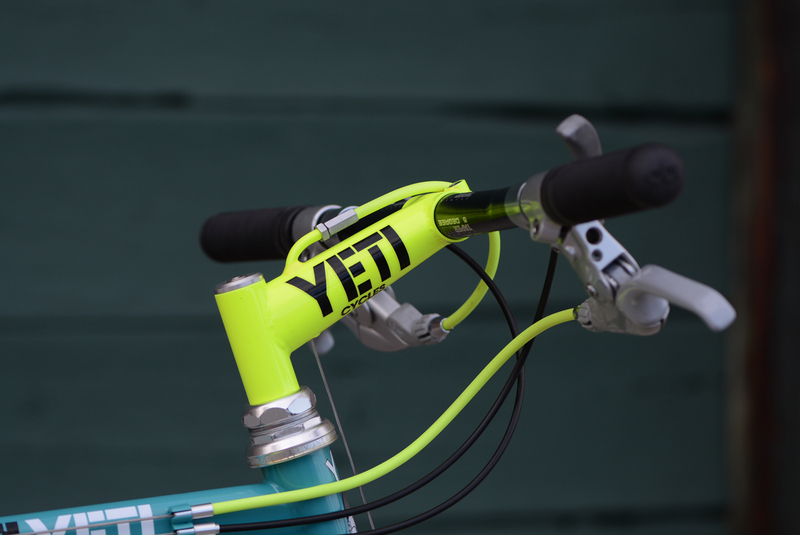 Yeti, steel and dayglo Yellow - what more can anyone want? 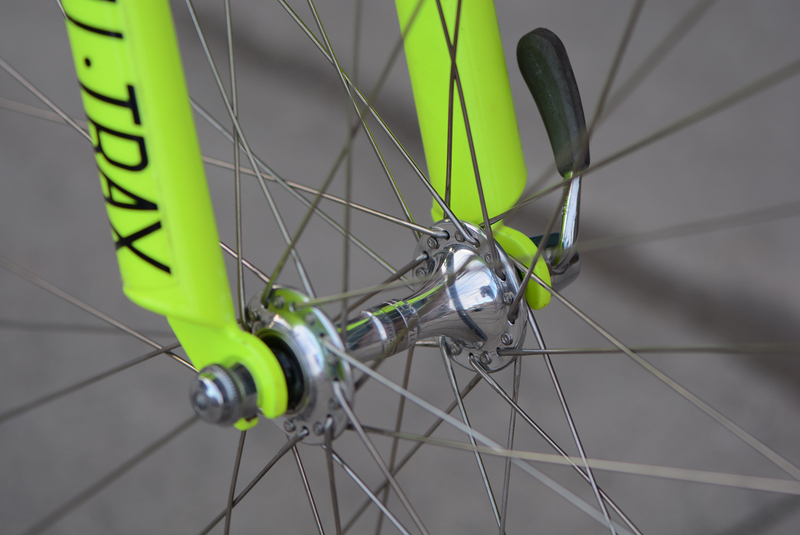 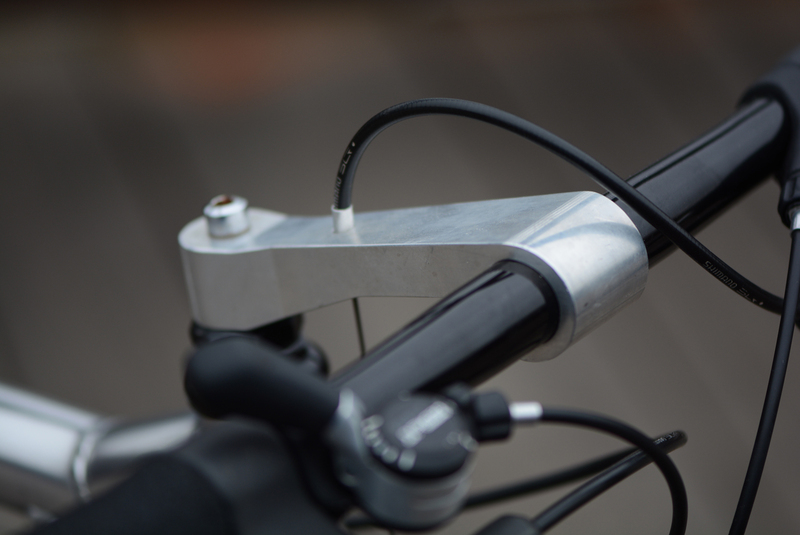 Close up of the 'light weigh' Team Cut dropouts. The Team Cut moniker was famously applied to the weight reduction modifications for the Answer Atac stem, but it was first used on these dropouts. 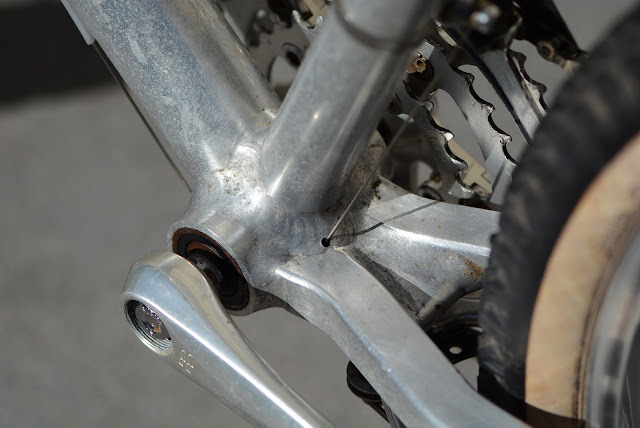 Birds eye view shows you really how much material was removed from the dropouts, it's almost scary, but I've never heard of one failing. 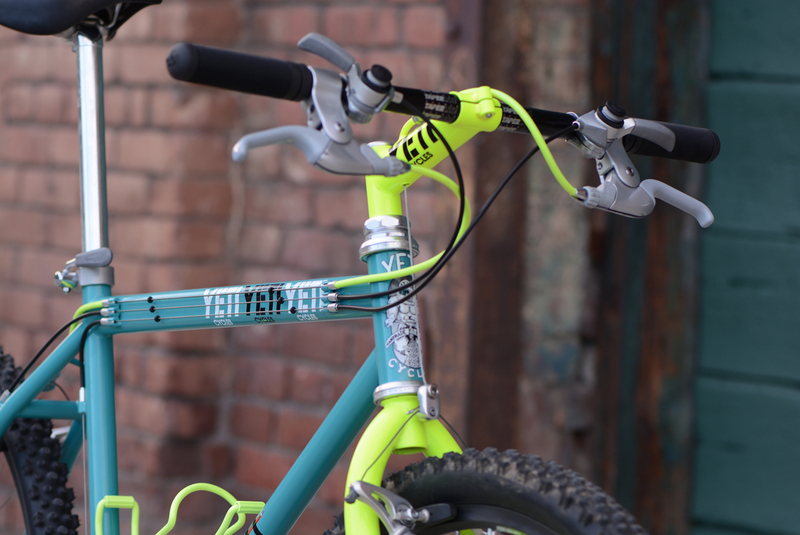 The pièce de résistance of any old steel Yeti team frame is the welded on serial number on the BB shell. 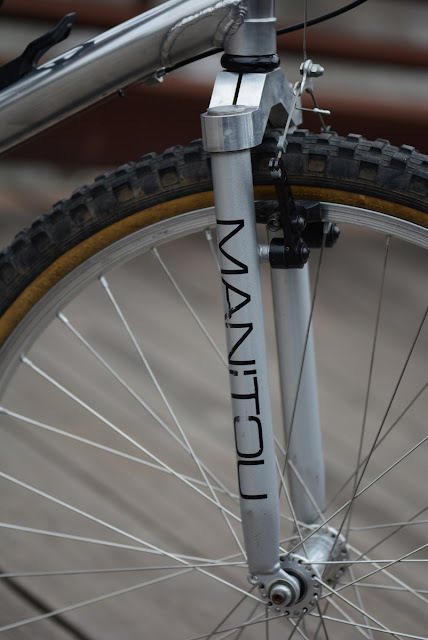 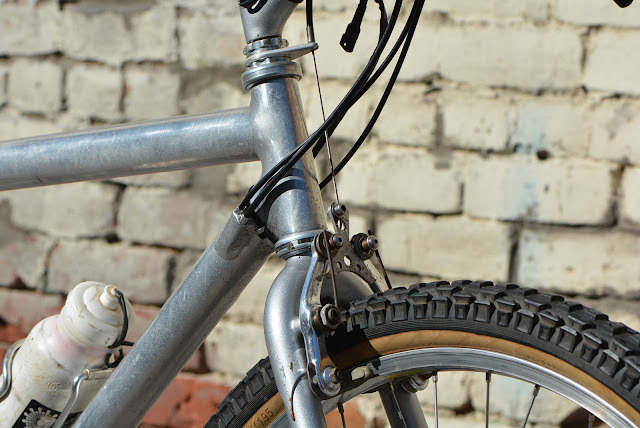 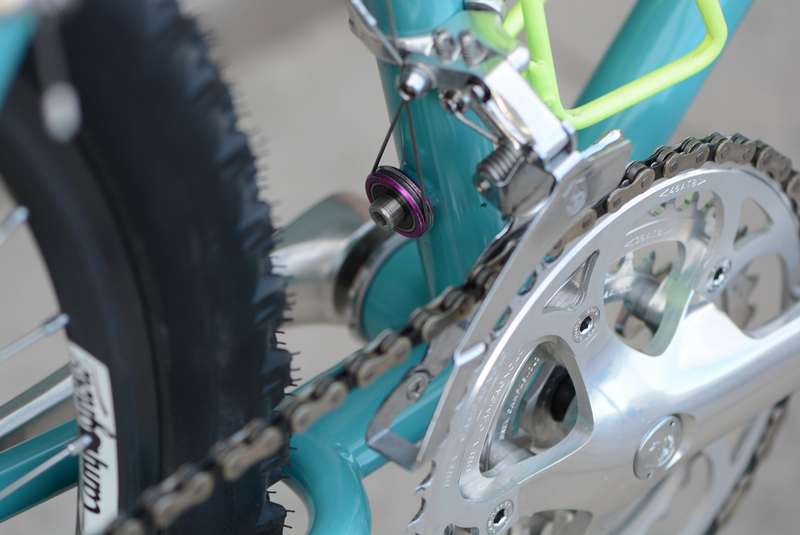 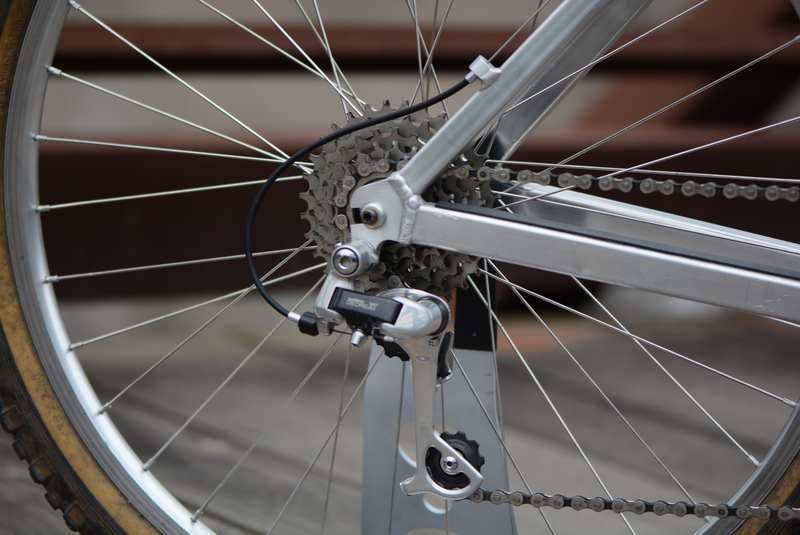 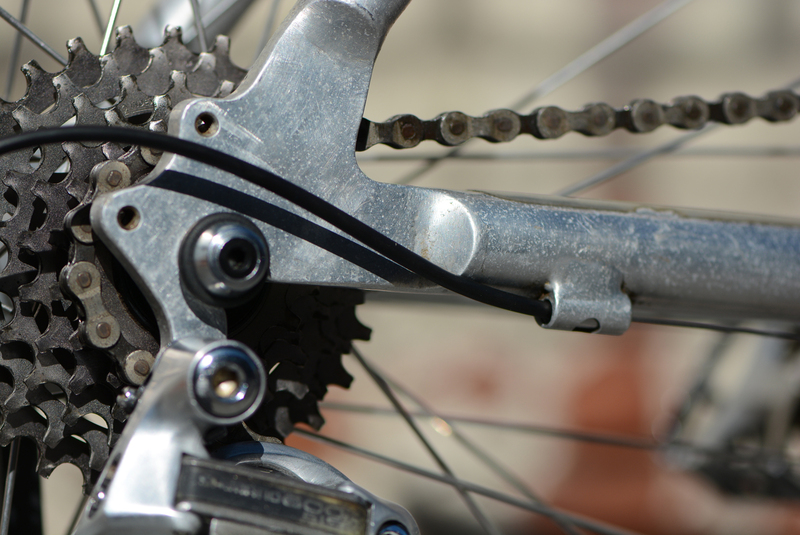 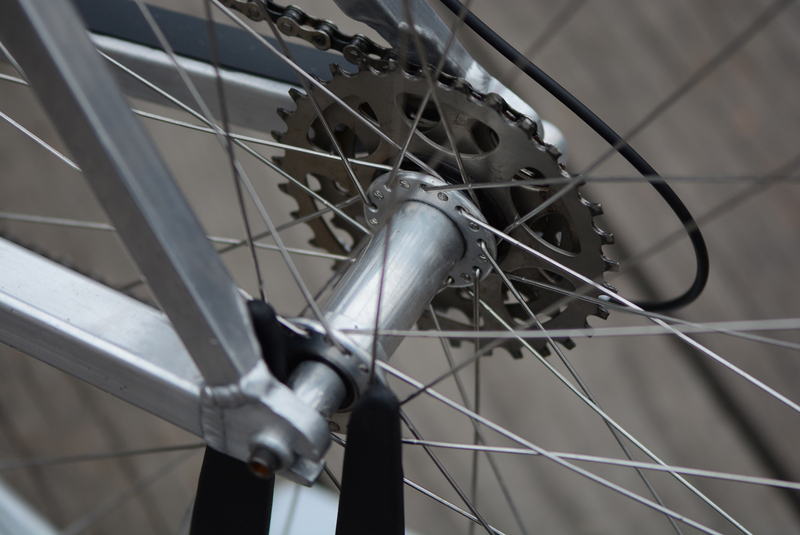 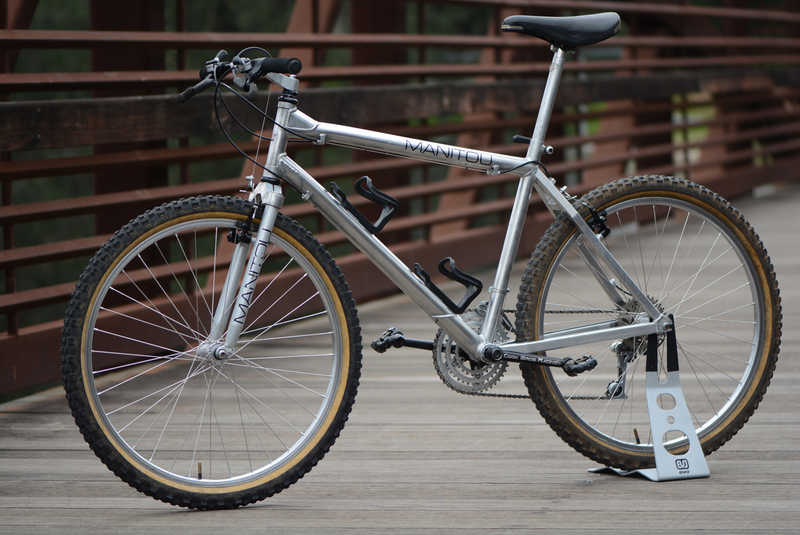 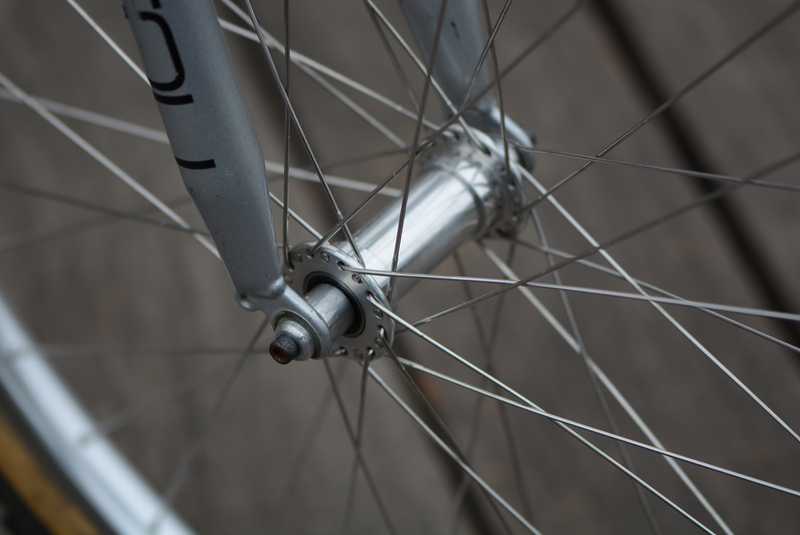 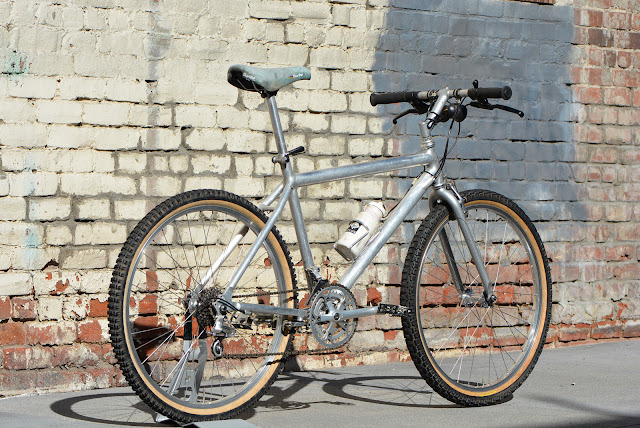 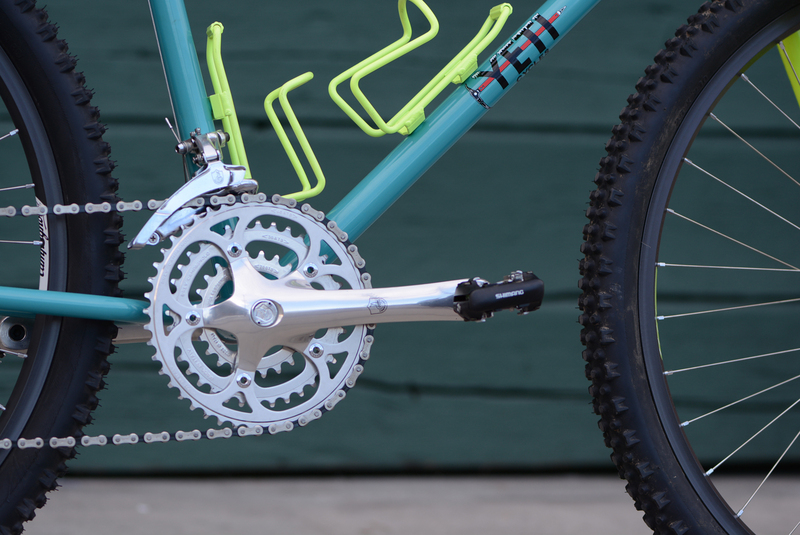 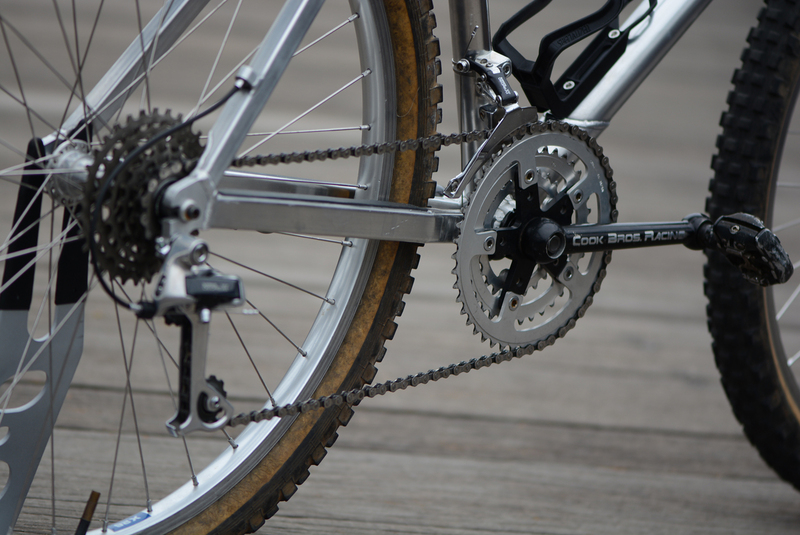 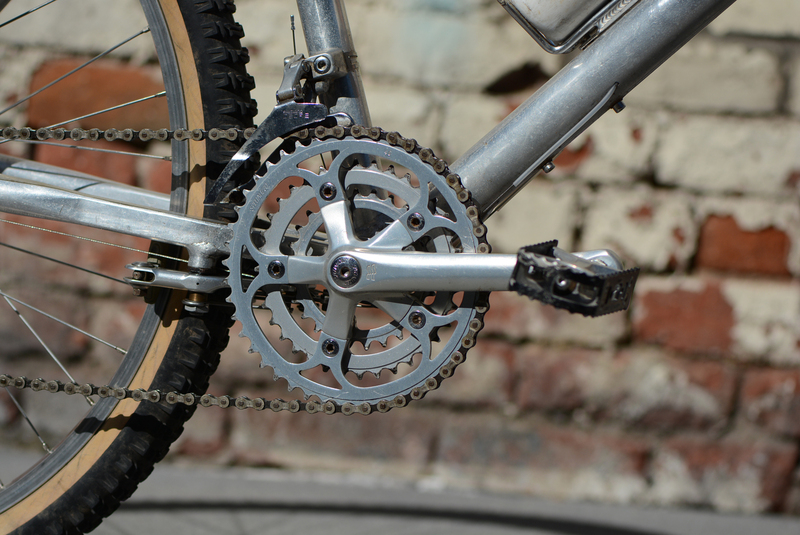 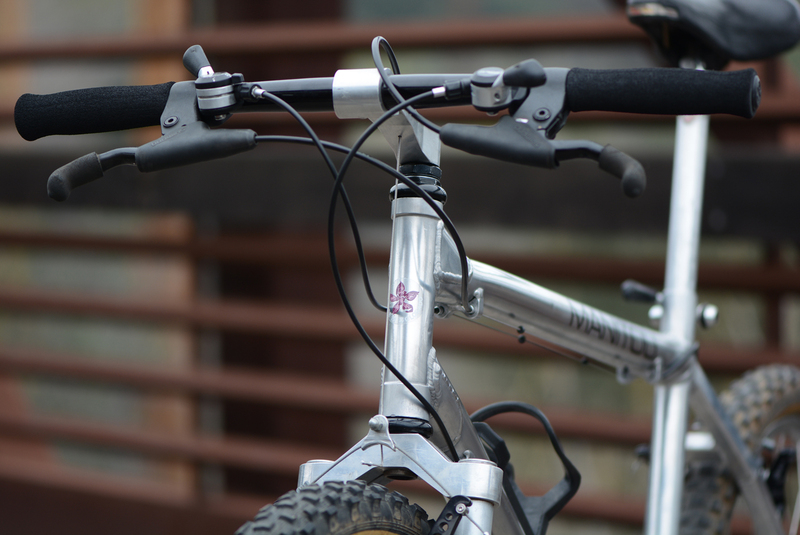 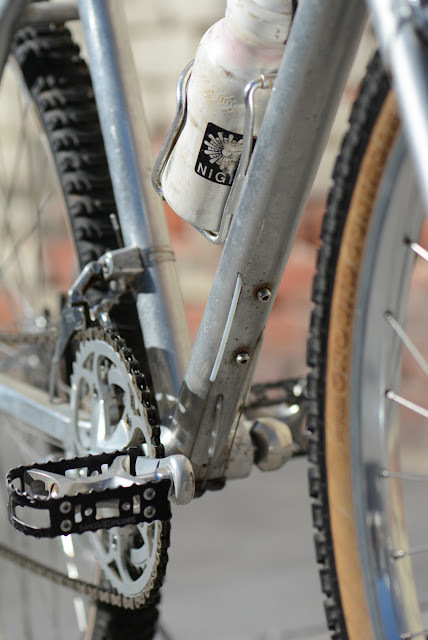 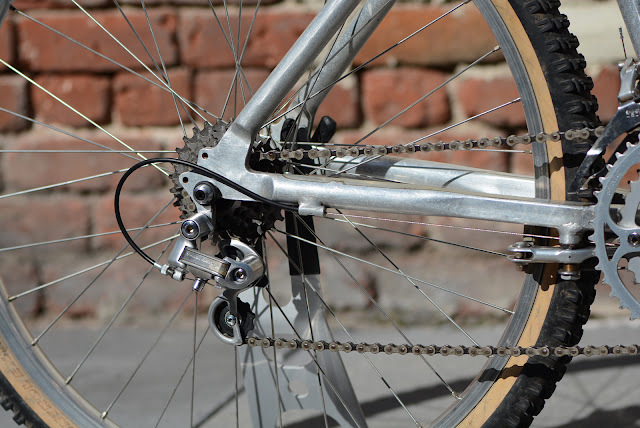 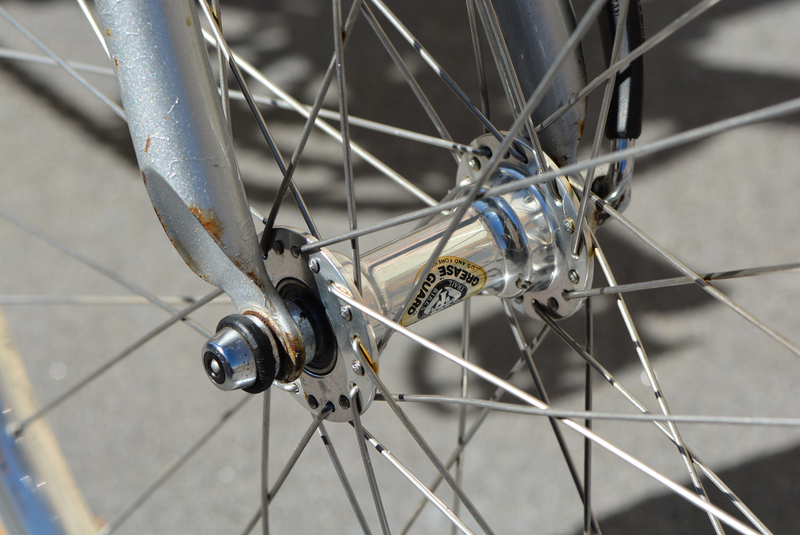 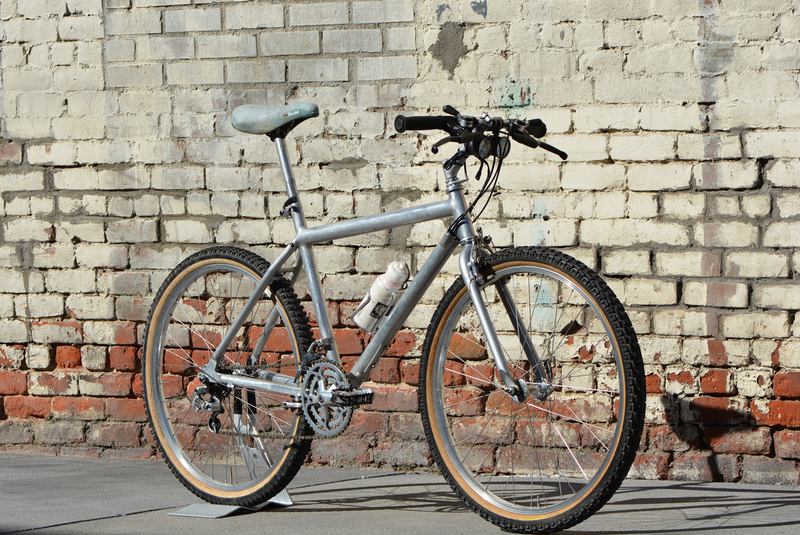 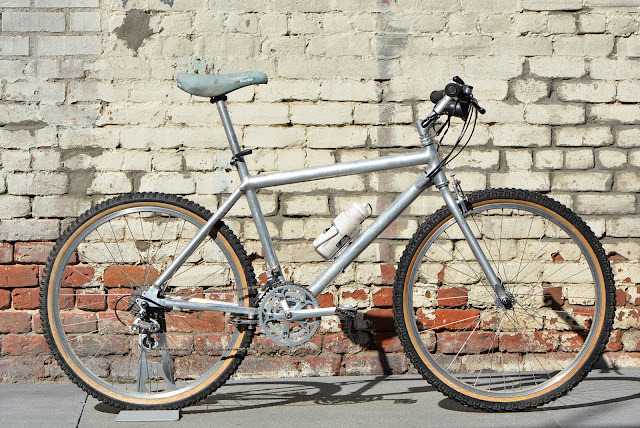 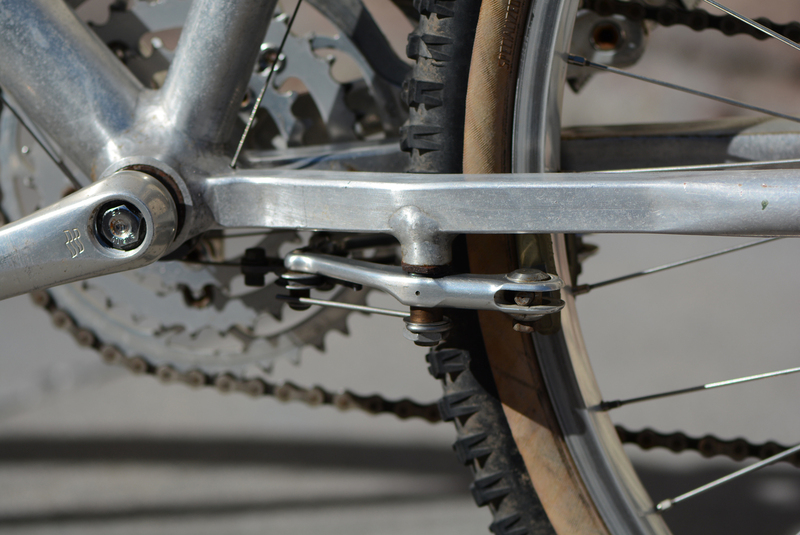 The 1990 FROs carried over many features from the earlier bikes while replacing 1" headtube with 1 1/4" and the Simplex dropouts for the plate style units. 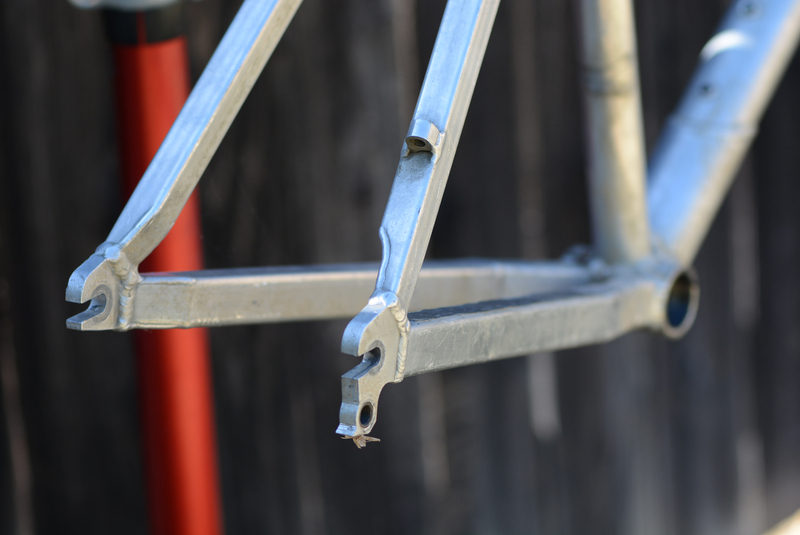 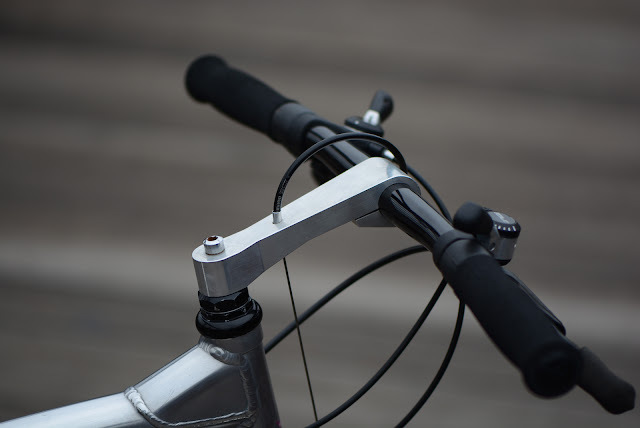 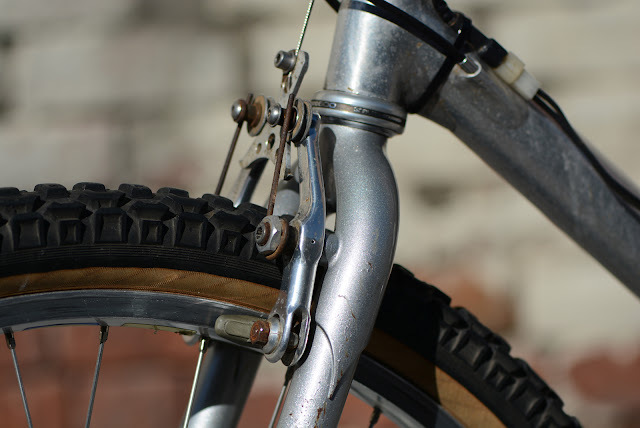 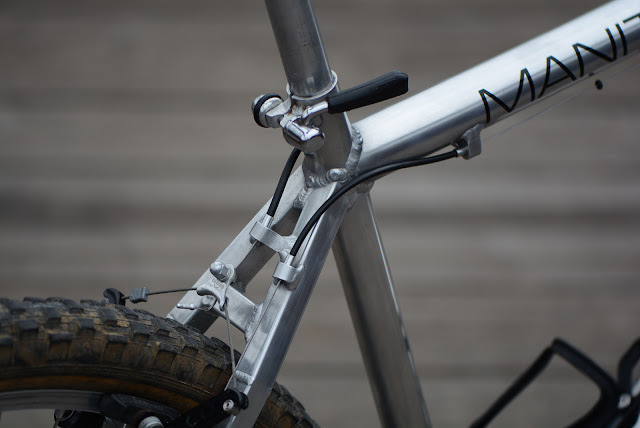 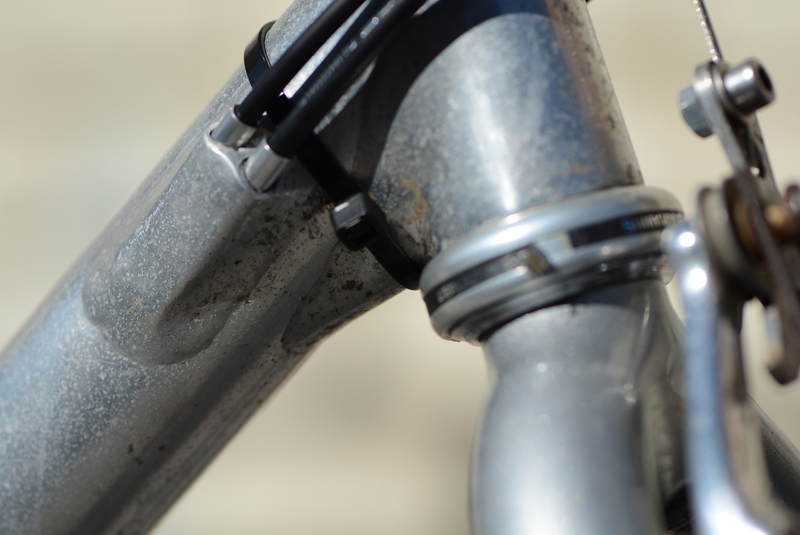 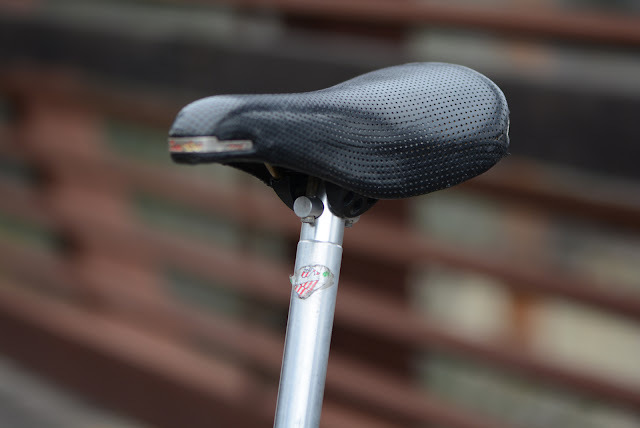 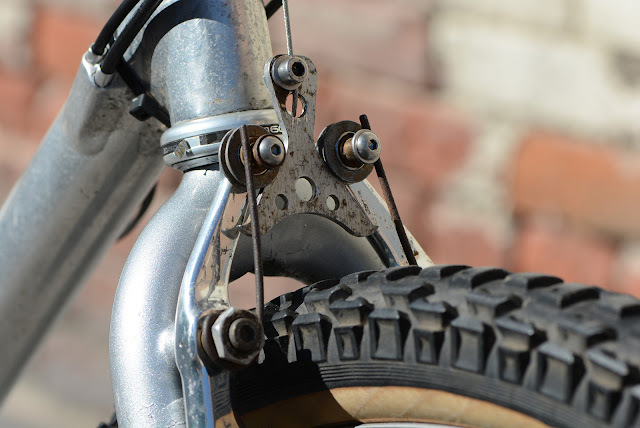 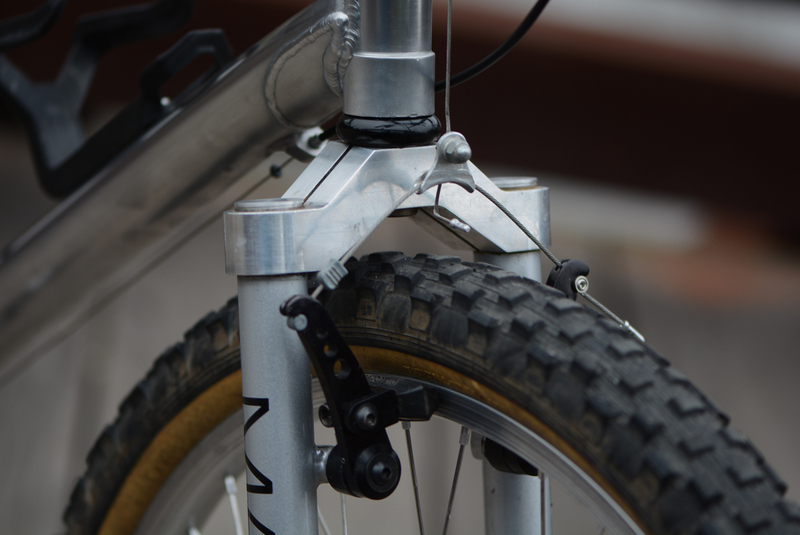 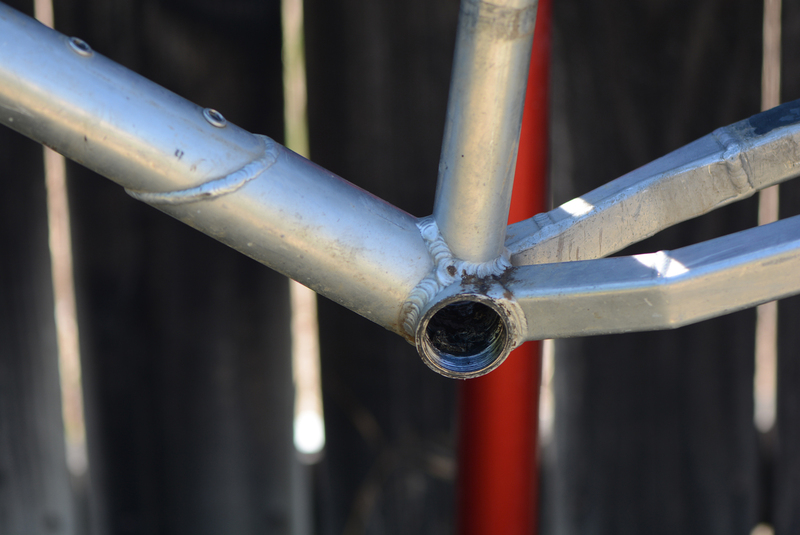 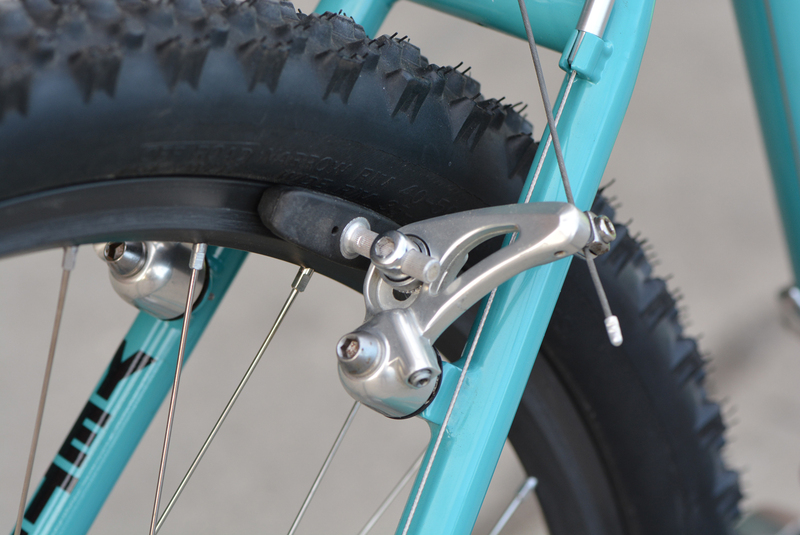 It wasn't until 1991 and later that the wishbone received a reinforcing gusset on the drive side, something that another company would do on team frames before production, but not Yeti. 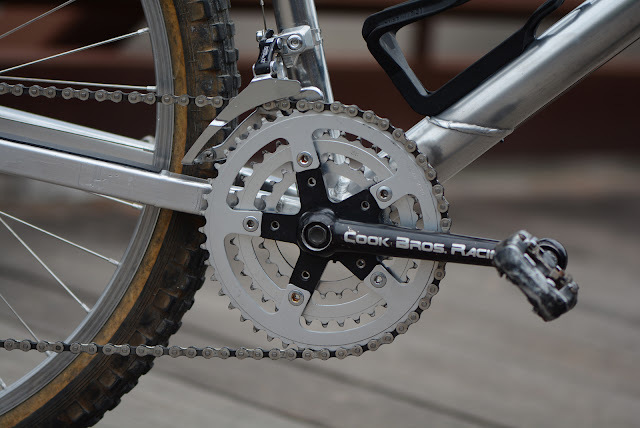 The instant they recognized a benefit all of their bikes got it, it was really a from the race track to the garage approach. 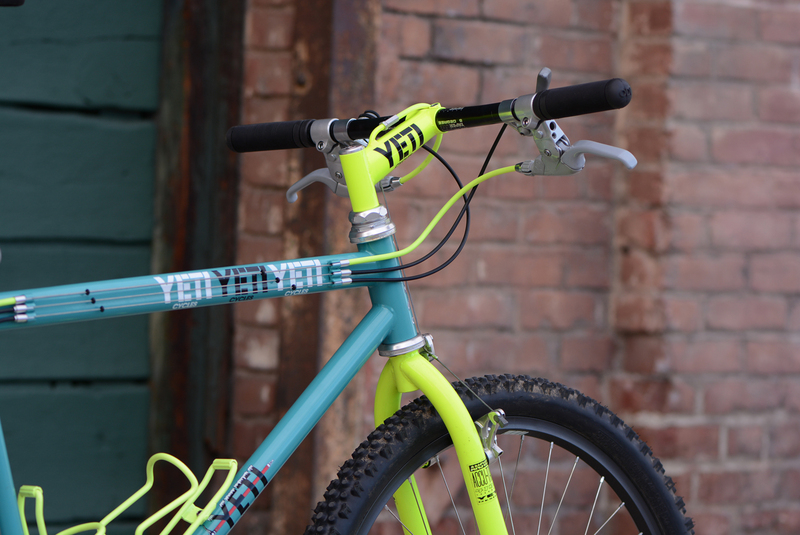 Building a vintage Yeti is sweet... building a vintage Yeti with race provenance is even sweeter! This particular FRO has a been a great project and it's quite possible I may get to do it again in the future. 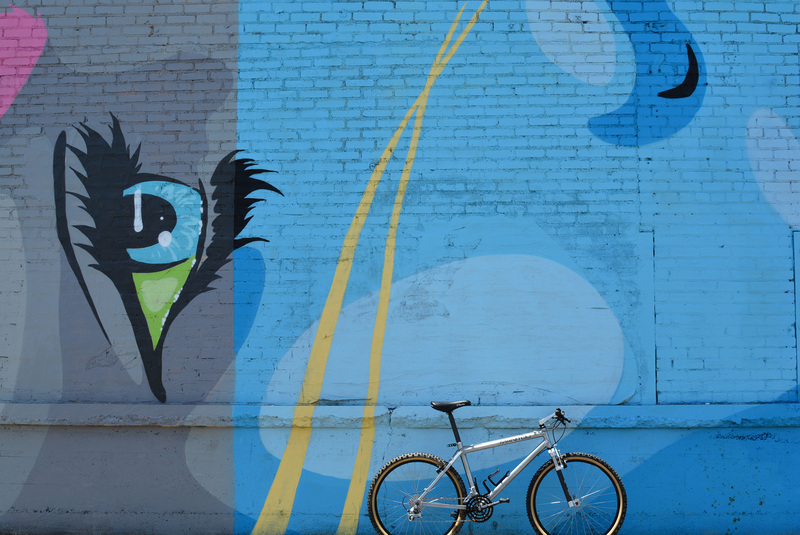 It really has gotten me excited to redo the Juli Furtado ARC and hopefully another cool FRO someday in the future.